Landscapers West Dulwich SE21 .The London Landscaping Company are a professional, reliable garden design and build company covering the West Dulwich area SE21. 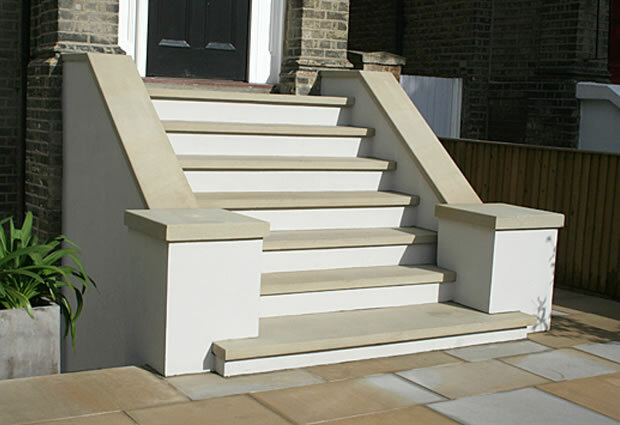 We have been providing our services in West Dulwich se21 and throughout London for over 14 years. A true Design and build company with highly skilled team of in house landscaping builders , Designers and horticulturist. 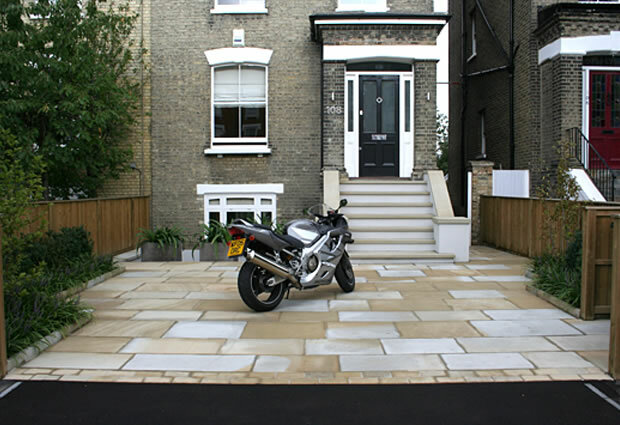 This contemporaray front garden and driveway design in West Dulwich Se21 uses sawn york stone for forecourt driveway landing and staircase treads. The staircase was rebuilt from scratch as the original form was compromised due to cracking and was leaking into the basement areas. Its extremely difficult to repair cracks in forms such as these once the foundations have gone , as they will repeatedly keep opening up .We pride ourselves on our structural design and build capabilities with a great experience in staircases,retaining walls and more complex forms. Our experience team of in house landscapers build with precision and care. punctual, tidy , always friendly and approachable .